It’s easy to take our comfort for granted: We expect our homes to be warm in the winter and cool in the summer, hot water to always come from our taps and shower heads, and our appliances to work every time we turn them on. That’s why it’s such a shock to us when they don’t. 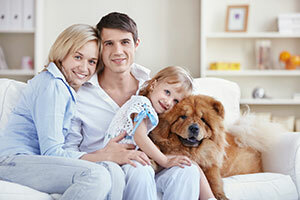 A breakdown to your furnace, heat pump, water heater, or any other important home appliance can literally bring our home life to a standstill, robbing your family of the comfort and security it needs to take on its daily tasks and routines. It’s also why a Broward Service Plan is so important to your peace of mind. A Service Plan from Broward is a cost-effective way to make sure your HVAC equipment and appliances run reliably and at peak efficiency; it only takes one covered service call to realize just how much money, time, and stress your Service Plan will save! Available at Gold and Silver levels, your Broward Service Plan will help you rest easy knowing that you’ll get free repairs on covered parts, priority service, and work delivered by expert, factory-trained technicians who can service any make and model of equipment, new or old. We’ll help you find coverage that’s right for your home, equipment, and budget – then you can leave the rest to us! Invest in your peace of mind this heating system – sign up for a Broward Service Plan today! Previous PostPrevious Will a Heat Pump Provide Enough Heat to Keep Me Comfortable in the Winter? Next PostNext Should I Repair or Replace my Gas Furnace?